Mobile devices are using for a business purposes, developing mobile apps in the enterprise becomes that much more important. During the past decade, Apple's devices such as the iPhone and iPad have become backbone of mobile industry. Launching an app on iOS platform may give you a great pride. Many beginning app developers only look at downloads and earnings. That is a great start, but there is so much more going on behind those numbers. 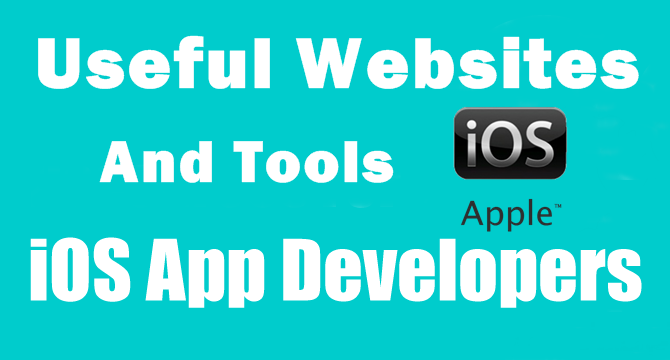 This article outlines the useful websites and best tools for iOS app developers. If you are thinking to launching an iOS app but you're not an iOS developer then don't worry because you can hire a team of highly talented developers. You can also join a developers team as a app planner. If this is your first iOS app then learning about iOS app will be good for you. We will continue to share more things about iOS platform, but for now we want to point you toward some of the best resources available to you for the purpose of developing your own iOS app. The following useful websites and tools will help you with every chapter from the starting point right through the marketing and promotion chapter. It has taken a 2-3 days for us to pick this resource together for you, and we try to continue to update it. So you should bookmark this resource post for future use. If you are planning for an app, this section is a perfect point for you. 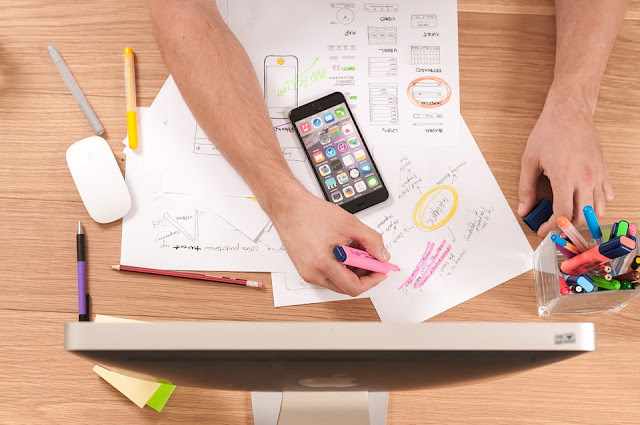 We have shared three websites that will help you to create the prototype for your iOS app, which you can share with your employees or developers. These websites will help you to see your app work before you start the hard work of design. Give it a try. App.io: We listen to a clip of a new song before we download it and we watch a movie trailer before we go to the movie hall. When your developers and team members developed the initial version of your business mobile app, you need to test mobile app with a select set of users. 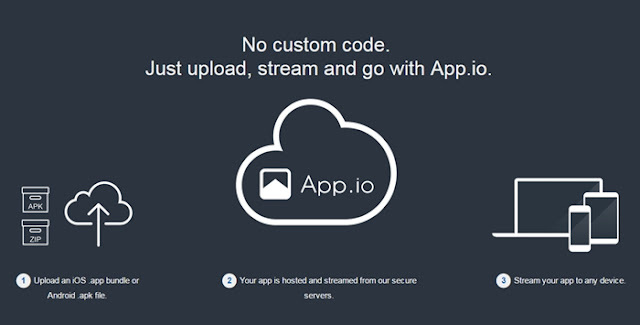 Google Play Store and the Apple's iOS App Store give you a permission to test your apps, but if you are looking for a better solution, you can try App.io to check your App's live version. They offer a one-week free trial, which is good enough to kickstart your iOS app testing. After testing your iOS app now you are ready to launch your app on the Apple App Store. Apple Store needs a lot of effort and visuality to attract more users. At App Icon Template you can download a PSD files that you can quickly edit to create the screenshot for iPhone. Launchkit (web-based tool) allow app developers, product managers and even designers to generate beautiful screenshots for Apple App store. 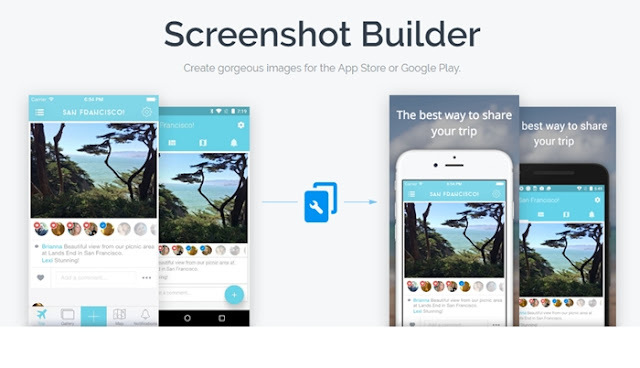 Create your iOS application screenshots now. Creating a video demo to your app store listing is one of the best ways to get people excited about your app. It can be uploaded to YouTube or Vimeo, embedded on your company website and a link can easily be sent to anyone who is interested in reviewing your app. 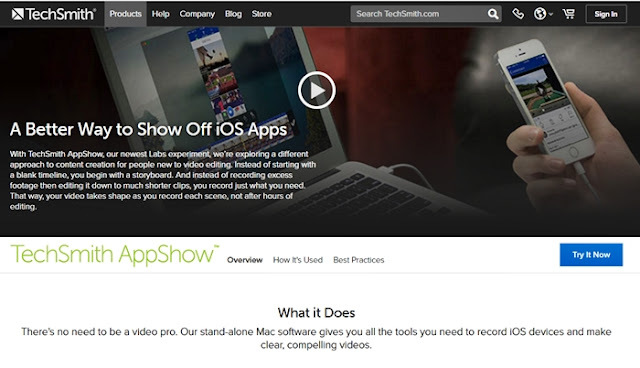 TechSmith AppShow is an app for Mac OS, which allows you create professionally looking app video demos with the help of few clicks. We highly recommend using it to create the video demo of your iOS app, and using Fiverr to get professional voice-over work done for the app demo video. Above we have shared the most helpful tools and resources for an iOS app developers. We request you to share your resources with us in the comments section below. Also please share these resources with other iOS app publishers or developers you know. If you find the websites and tools in this post useful, please share it with your friends and colleagues on Facebook, Twitter, Instagram, Pinterest and Google+. Thanks and Stay Blessed.